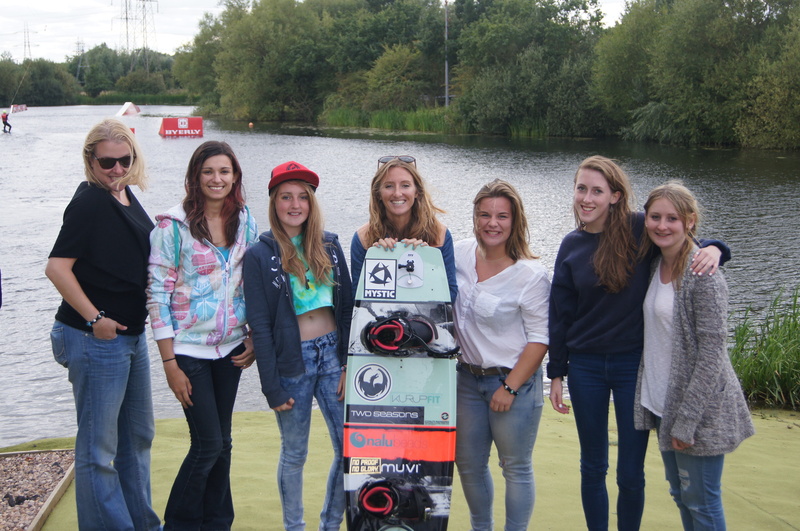 Last Saturday I had the pleasure of hosting a Ladies Wakeboard Workshop over at Club Wake Park. This was very different to my usual five corner cable coaching style as it was on a Wake Station (straight line cable). So I usually coach a group of up to 25 people at my Ladies Mornings / Kids Clubs where everyone rides at the same time and they just head back to the dock whenever they fall off to get advice. With the Wake Station I got to coach the girls one on one as only one person can be on the cable at any one time. This is a great way to coach someone as the feedback is immediate and you can see the progression each and every lap. So the day started with a group warm up session where we did some dynamic stretching to get the muscles engaged and we also got the heart rate up a tad more with a few burpies thrown in for good measure. We then hit the water! Each girl went out three times and progressed each time which was fantastic to see. Once the riding was wrapped up and after a few healthy snacks we enjoyed a chilled Nalu Beads workshop for the remainder of the day, where the girls got to make something amazing with their new surf beads.